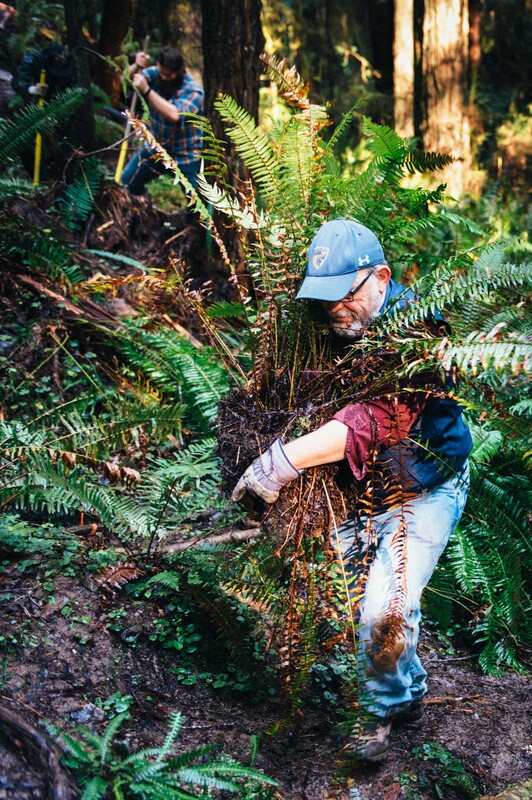 Tim Canning relocates a fern during trail maintenance day in Arcata Community Forest. 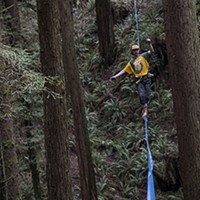 Early Saturday morning, volunteers gathered in Arcata Community Forest for a trail building work day. 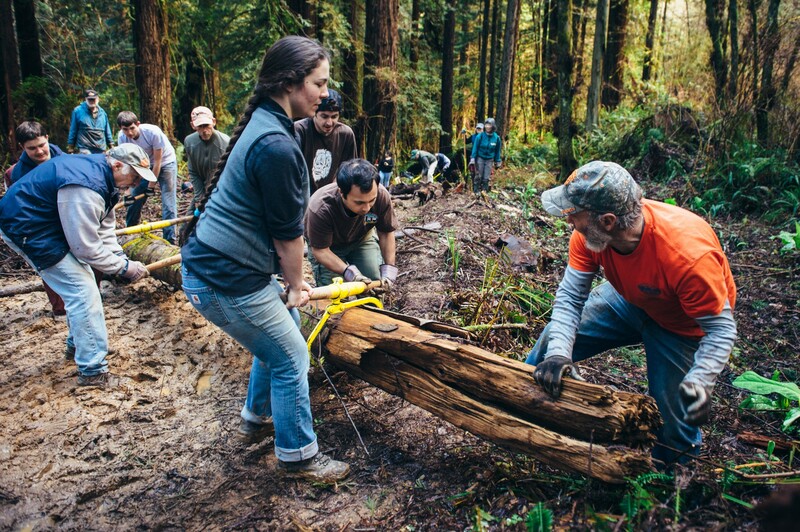 Organized through a partnership between the city of Arcata and the Humboldt Trails Council, 25 volunteers spent the morning working on a section of Trail 4, which was recently rerouted to avoid a steep and slippery section of trail. 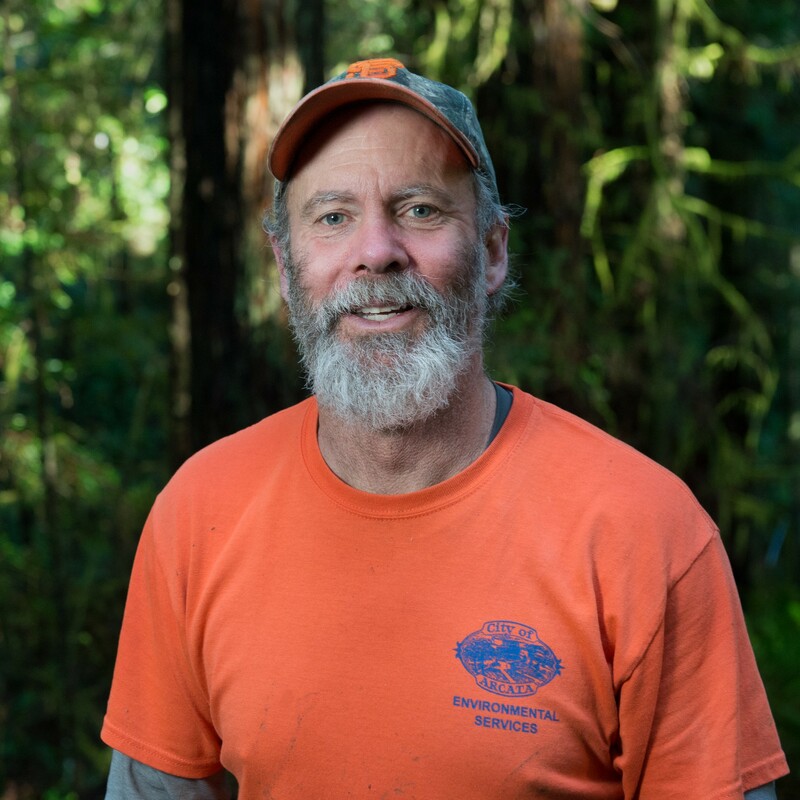 Dennis Houghton, parks facilities natural resources supervisor for the city, was directing the transplanting of more than 30 ferns, aided by Rees Huges, a volunteer coordinator of the Arcata Community Forest Trail Stewards (and sometimes Journal contributor). 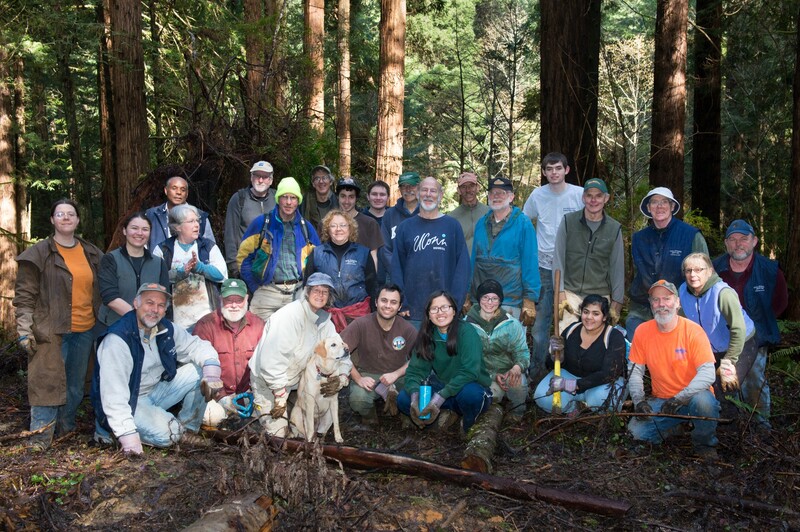 The Arcata Community Forest Trail Stewards meet at 9 a.m. on the fourth Saturday of every month (excluding December), and welcome volunteers to come help out. 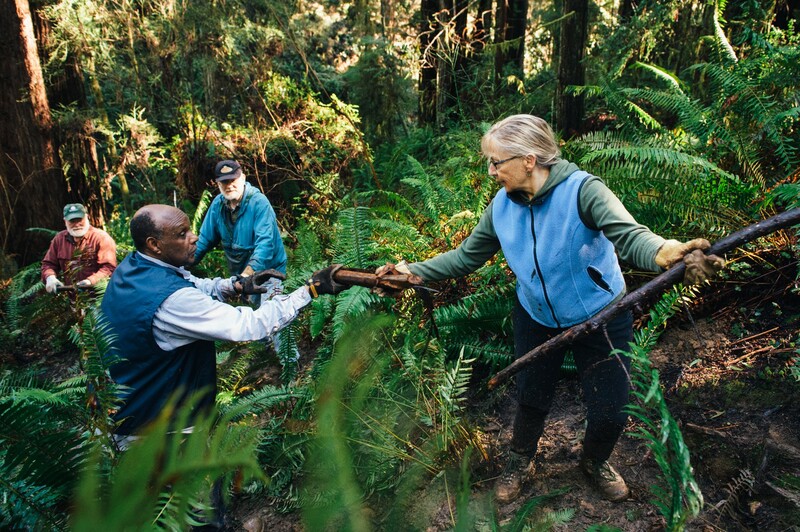 (Left to right) Gary Friedrichsen, John Sullivan, George Nickerson and Orleen Smukler pass limbs down the slope to mix in with replanted ferns. 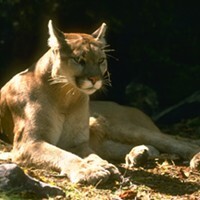 City of Arcata Parks, Facilities and Natural Resources Supervisor Dennis Houghton. 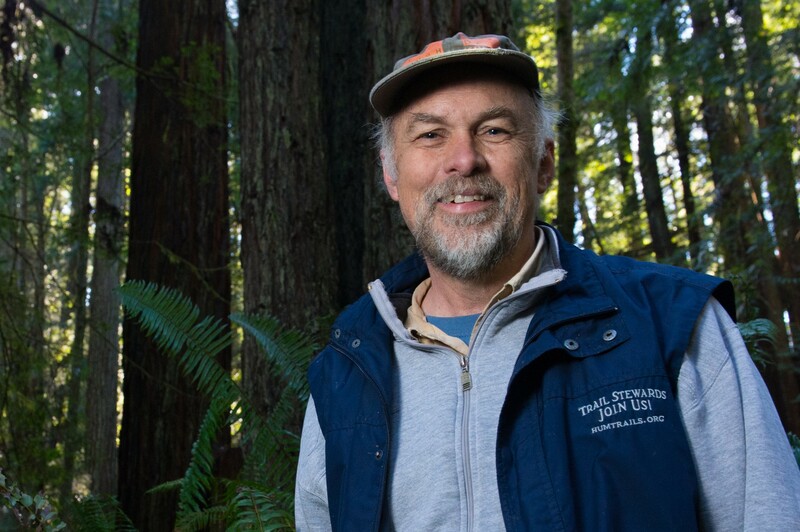 Arcata Community Forest Trail Stewards Coordinator Rees Hughes. Dennis Houghton directs Naomi Winger, John Cortenbach, Rees Hughes, Alex Orozio, Zachary Matthews, Dan Calderwood and Joshua Sears as they move a fallen tree to block access to the discontinued trail. Volunteers pose for a group photo.